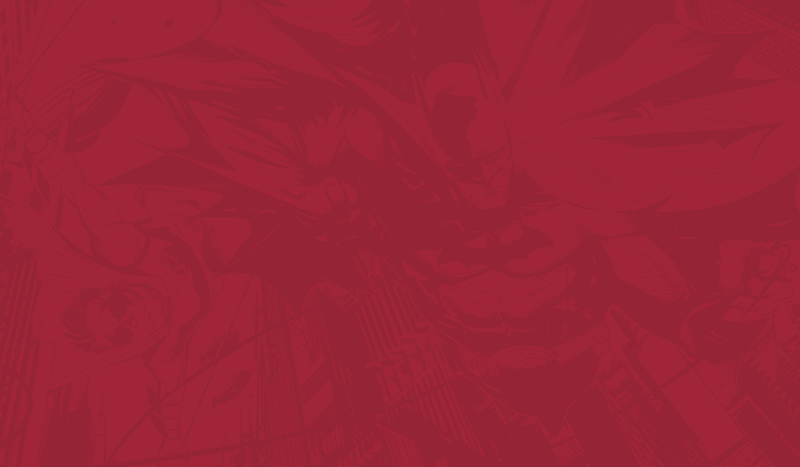 Overview: The 4001 A.D. event has been incredible thus far. If there is one thing Valiant knows, it’s how to pull off a great summer event, that is neither contrived or money grabbing. 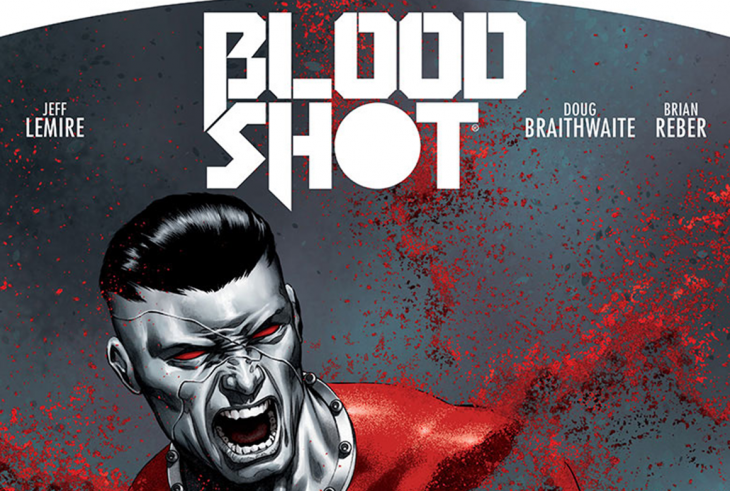 Lemire’s 400l A.D. BLOODSHOT continues this tradition. 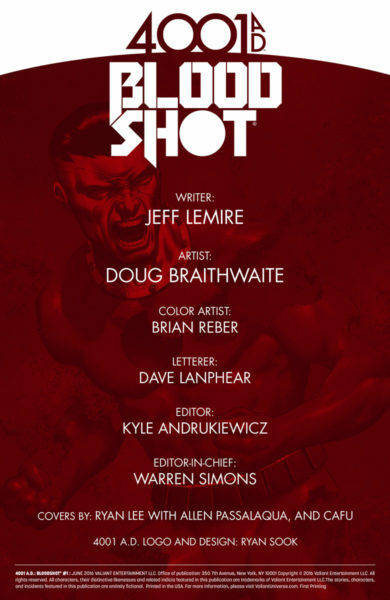 I’m not going to lie, when I first saw the new look for Bloodshot I was a little hesitant. 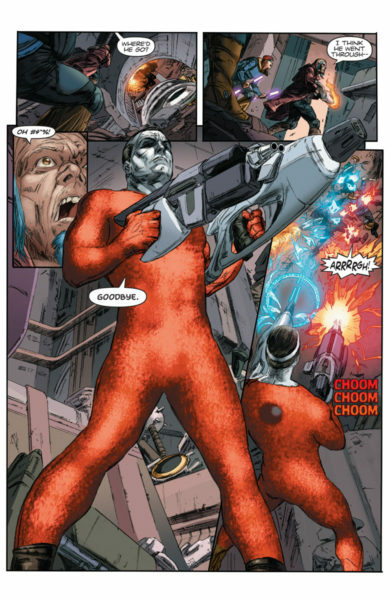 The amorphous, nanite body with the Bloodshot head seemed a little far-fetched, even in a world with timewalkers, hive-mind aliens, and beings with the power to manipulate time, space, and matter. After reading it though, I have to admit that it’s pretty damn cool. 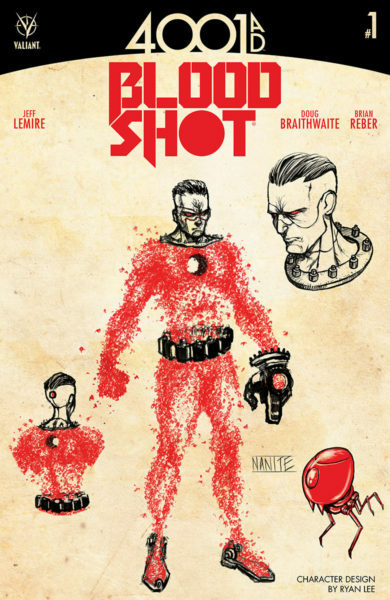 Lemire’s story is great, frequently pulling scenes directly out his work on BLOODSHOT REBORN and last years BOOK OF DEATH: FALL OF BLOODSHOT book, and even providing a sense of closure after what happened at the end of FALL OF BLOODSHOT. 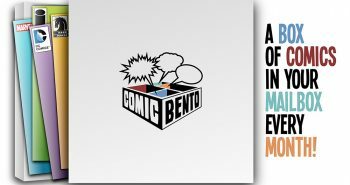 As far as the art is concerned, Doug Brathwaite and Brian Reber pull off some KILLER panels throughout the course of this book. 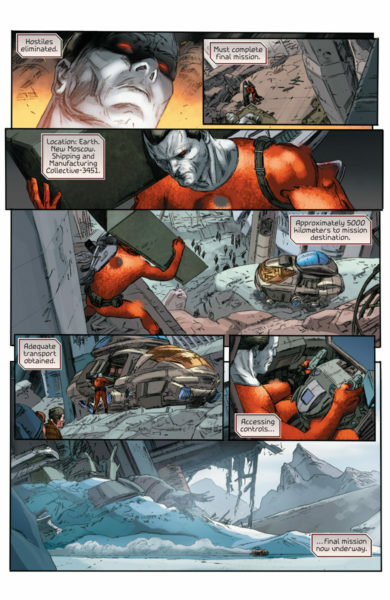 There were several pages where I just stared at the page taking in every little detail – and there is a LOT of detail. 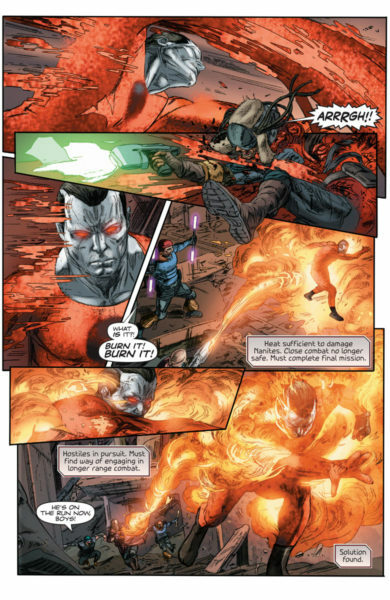 Bloodshot is just such a cool character, possibly even one of the greatest in Valiant’s pantheon of heroes, and Lemire has him dialed in. His stories are frequently introspective, which is hard to pull off with a character who’s primary purpose is murdering people to death in a variety of ways. 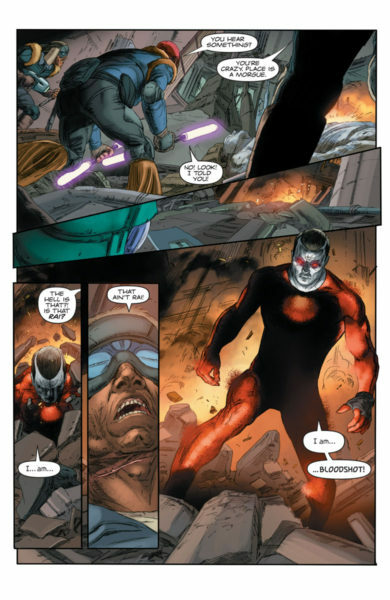 His run on BLOODSHOT REBORN shows us a more subdued Ray Garrison, who is still trying to find his place, and 4001 A.D.: BLOODSHOT gives this fantastic hero both closure, and a possible new beginning. If you are a fan of Bloodshot, sci-fi, or stories about artificial intelligence, then this is the book for you. 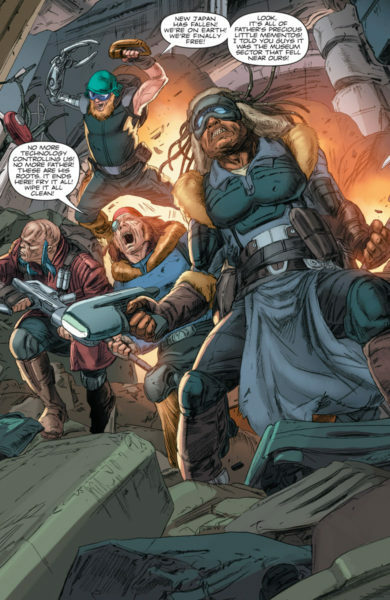 Not that it is a contest, but I liked this one-shot even better than X-O Manowar’s, and that book was also fantastic in its own right. 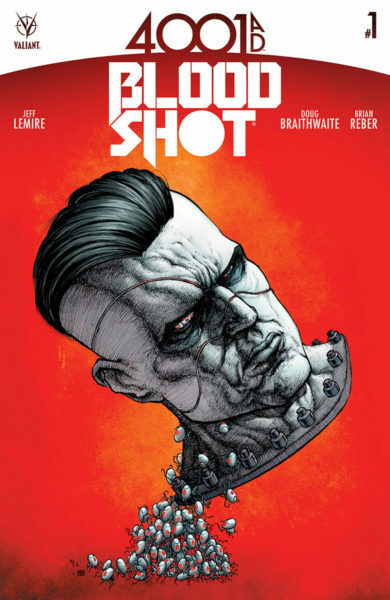 Make sure you head over to a comic shop (or Comixology if you prefer digital comics) and pick up 4001 A.D.: BLOODSHOT (out June 8), as well as the rest of the 4001 A.D. event books.